Have a story that deserves to live forever in the zeros & ones of digital video? Let’s have coffee and discuss. This year’s Oscar-Nominated Live Action Short films are a solid bunch. The group of them ranks second among the three short film categories for me this year. Number three are the animated group and a clear number one is the documentary shorts. All of these categories find brilliant filmmaking – especially because telling a robust story in such a compact time is no simple task. Here’s how the live action short films made me feel. I’ll write about each of the films I saw in the order in which I saw them and then give my selection at the end. A young Afghan girl living in the Swiss Alps is working so she can send money home to her family who are still living in Afghanistan. The emotion our title character is palpably on display after asking, “How much?” and then saying, “OK, I’ll send the money.” It’s brilliantly wonderful acting. I felt her persistence and was immediately on board with her. That idea right there sets a solid foundation for the story. Of course there are bumps along the road. She’s rejected from being able to send money because of identification issues. She seeks the help of strangers in her broken German and finally finds an unlikely assistant in a rebelliously dressed punk girl. Parvaneh takes some serious risks to do good for her family. She shows that stepping out of one’s comfort zone can be uncomfortable, but taking the risk can sometime be fruitful. The whole movie is from a single vantage point. What’s in front of the camera changes however. The vantage point is that of a family portrait photographer. Each family who is shepherded into frame has a different background selected – which is lowered into place by one of the photographer’s assistants. There is small interaction between the photographer and subjects until the photo is snapped and then a new family is on screen and a new background is lowered into place. If there is any sort of social commentary here, it’s lost on me. I think smart films that have subtle commentary are fun to watch. But if the commentary is too subtle? Well then I feel nothing and don’t enjoy it. It’s an interesting gimmick and pretty well shot which saves it from failing. A help-line call center worker named Heather (Sally Hawkins) makes her way into work one day to receive a phone call from a distressed man named Stan (Jim Broadbent). Her trip into work is boring and cold. A long panning tilt finds Heather sitting and waiting for a bus reading a book. When she arrives to work, the call center looks like a re-purposed elementary school classroom. Her desk is wooden and spartan. Atop the desk is only a phone, notebook and bottle of water. One other person is working this day, but he’s busy on a call. Heather’s phone quickly begins ringing and she sets to work. This phone call will occupy Heather, and the viewer’s heart and mind, for the rest of the film. It’s pitch perfect and the acting is superb. After the sadness clears the film’s purpose becomes clear. It’s about the small moments we overlook as humans. The Phone Call is a simple title and a simple movie. But the depths of the story are an abyss of profundity that play your heartstrings like Jimi Hendrix plays the guitar. There’s lots of distortion and feedback, but melody and beauty remain supreme. Of the two live action short films I gave A-rating to, this one is my favorite. It’s complex and is a film I just didn’t want to end. I’m glad this film was made because the subject is so smart and engaging. Here’s the story: A young woman is waiting for someone at an airport. She standing among other private car drivers who are waiting for their passengers to arrive. They’re all holding signs with the name of the person for whom they’re waiting. One of the drivers needs to leave so he asks Aya if she’ll hold his sign just until he returns. She reluctantly agrees. In the next few moments the man whose name is on the sign appears. The story unfolds beautifully from there. I was on the edge of my seat the whole time. I think the idea of fear of strangers has been perpetuated into our souls too much. Don’t let that get to you. Happenstance meetings can be a beautifully positive thing too. Without a doubt the funniest of the nominees happens to bring the audience to one of the least funny places in the world: Belfast, Ireland. A soft-hearted father brings home two young chickens for his two sons to raise. Drama ensues when the mother demands changes be made to the household. This is a really cute story that is heartfelt and upbeat despite its location. This year I’m writing a blog post especially for all of my picks. This way you can see just how much – or little – I know about the awards. My selections this year are my selections. In the past I’ve tried to game the system by trying my best to infer how the Academy will vote. I did this so I can win the Oscar pool I compete in with my family and friends each year. No more! I’m often disappointed if my speculation goes awry and the Academy selects differently than how I presumed they would. I might lose drastically this year, but at least I’ll know I picked the winners according to how I think. To save you from droning on like the Academy Award show usually does, I will only provide my picks for the major categories. I’ll provide brief reasons why as well. I promise to leave right when you queue the music! What a great film! This film deserves top honors, but unfortunately it’s buried in a group of films for which there are not enough superlatives. The screenplay meshes together years of events and does a masterful job of articulating character traits that left me wanting more. Like Foxcatcher, Whiplash is a stellar film that has the unfortunate fate of being on the same plate as some truly magnificent films. This is a great story and eloquently elucidates the highs and lows one experiences along the musical career path. This is a tricky pick for me. Timbuktu is a beautiful film and tells a highly relevant story about how people of high morals and integrity clash with marauding religious extremists. The symbolism is rich and blanketed me in warm – but scratchy – blankets. Leviathan goes a little bit further. It’s just as beautifully shot as Timbuktu and the symbolism is heaped on as well. Both films detail acts of courage by common people in the face of terrible odds. What sets them apart is that the people whom Leviathan is picking on are educated and cultured enough that they should see this film for what it is: a glaring indictment on the current Russian State. The people whom Timbuktu is calling out will never see this film. It’s offensive symbolism will be completely misunderstood. But, the people whom Leviathan is calling out do have the intellectual prowess to grasp what the director has done. The fact that they don’t and the fact that this film can receive the blessing of one of the Russian ministries is astonishing. The director managed to artfully conceal his intent in reams of subtext. Music by Philip Glass clenches my vote. This year’s selection is a no-brainer for me. I correctly picked a film that became nominated for Best Documentary last year – The Act of Killing. It didn’t win, but it sure should have. It was one of the most unique films I’ve ever seen. CitizenFOUR achieves this feeling in my gut again. Laura Poitras has done a remarkable job of making three films exposing how Americans behave during the aftermath of September 11th . This film along with My Country, My Country and The Oath complete her three-film series dealing with the subject. And oh what a way to go out! CitizenFOUR is timeless. It details Edward Snowden’s decision to leak classified documents detailing the inner-workings of American intelligence gathering practices. It’s chilling and made me want to change all of my passwords immediately upon exiting the theater. It also caused me to look at people I passed in public differently. I would look at them and think to myself in a slightly judge-y way, These people don’t know. They don’t understand how they’re being surveilled. That’s a scary feeling to have and one I’m sure Snowden encounters on a daily – if not hourly – basis. It’s shot really well, too, and it details a story in real time. Obviously it’s not live and obviously we now know who Edward Snowden is now, but at the time this film was made, he was completely anonymous. Poitras, Snowden and journalist Glenn Greenwald worked soberly and diligently to reveal a truth that is vital to the safety of all Americans. Stunning to behold, you will quickly forget it’s old-fashioned stop-motion filmmaking. The filmmakers remind you at the end during the credits though. This is a delightful story that is laced with a couple of one-liner jokes for the adults in the audience. Song of the Sea is a close second for me. It’s also a delightful story told with magically colorful animation. I defy anyone to come away from this film who doesn’t feel a tingle of awe. The style and precision with which this film is shot is one of the most amazing things I’ve seen on the silver screen. The level of detail that has to be conveyed between Iñárritu and his cinematographer is almost absurdly intricate. The length of takes and perfection with which the cast deliver their action and lines is magnificent. Just remember that the protracted camera shots are not rehearsed ad nauseam. They are simply explained. And then they are executed by both those in front of, and behind, the camera. Linklater might have been able to coordinate a group of people once per year for twelve years, but coordinating action sequences that involve shooting in Times Square and on Broadway takes a special kind of genius. Julianne Moore is stunning in her role as a woman confronted with early-onset Alzheimer’s. Her performance is riveting and completely necessary. Marion Cotillard’s performance in Two Days, One Night is exemplary as well, but I think Moore gets the nod based on her body of work. Michael Keaton gives a career defining performance as Riggan Thomson in Birdman. What sets him apart from the other actors nominated in my mind is that he is the only one who is acting as a character from someone’s mind. The other four actors are simply mimicking a person who exists, or has existed, in reality. I feel compelled to give the award to someone who creates a character from scratch and plays him so convincingly. Steve Carell’s performance is the best of the mimic bunch for sure. Like Julianna Moore, I think Keaton deserves the award based on his outstanding body of work. Birdman is a film that will be on my best films list for years to come. It’s genius, plain and simple. It’s a vehicle that levels cutting criticism at both the Hollywood elite and the Broadway upper crust. The writing is superb; the acting groundbreaking; the directing precise and unique. It’s the best picture of 2015 by a large margin. 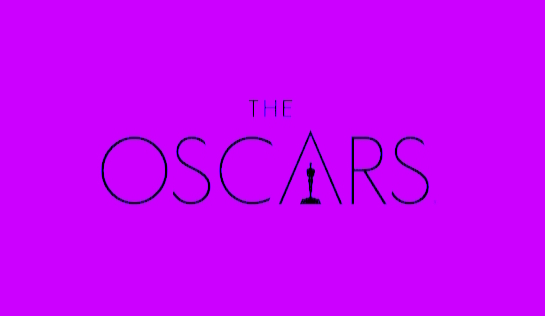 As I continue to provide insight into how films make me feel, I offer another word symphony – or cacophony to some – that ebbs and flows with my lyrical opinions about this year’s Oscar-Nominated Short Films in the Animation category. I’d like to first declare something about how my opinion of animated films has shifted recently. I’ve met someone who has suggested many animated feature films – some good, some not so good – for me to watch. But what viewing them has shown me is that there is an obvious formulaic approach to constructing plots in animated film. Her position — and I think it’s a valid one — is that Disney has monopolized animated films, and thus their plot formula is mimicked by other studios hoping to gain a toehold in the marketshare battle that Disney clearly has the upper hand in. I recently read an article that says animation deserves more cynicism to help bring the art form into the forefront again. I think this is true. I thought she was being far to cynical about the animated film industry. A lot of the Disney films I’ve seen really move me! But they rely on a story trope that doesn’t help animation as a whole make progress. This is unfortunate. I don’t claim to have any ideas for them. I think making animated films more diverse is a good first step though. My friend is currently helping with a project called “Book of Mojo” that is doing just that. The artist has released a spot-on video teaser as well. It’s a smart story and one that I’d love to see brought to life in a web series before eventually jumping to the big screen. Okay, okay, enough preaching. 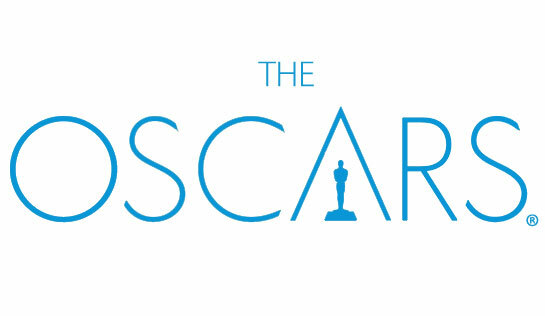 Onto my opinion of this year’s Oscar-nominated animated short films. 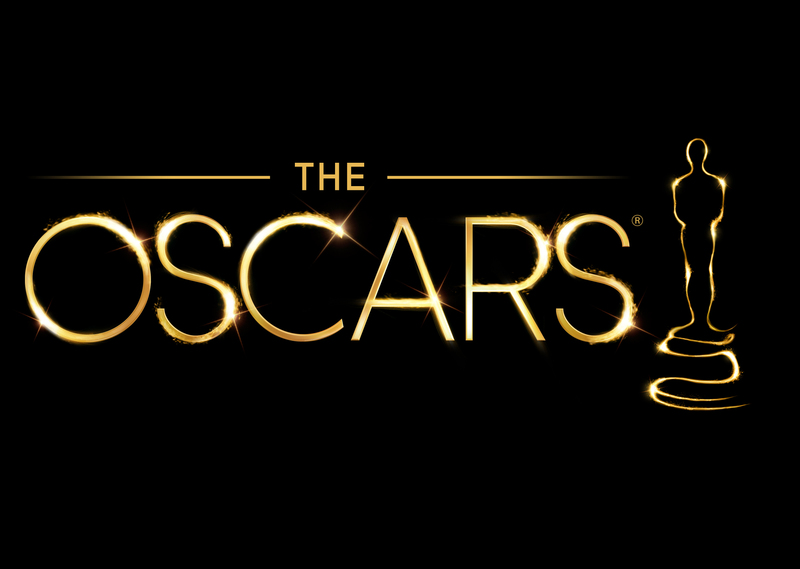 As I did with my post about the Oscar-nominated documentary short films, I’ll provide analysis of the films in the order in which I saw them and then provide my selection for the winner at the end. This is a delightful short film that is narrated by the main character, a young girl who, along with her two sisters, wants a bike. She is the middle child and her story is told eloquently using bouncy, vibrant colors which give the entire piece a genuinely sweet quality. Her parents want to satisfy their children’s every wish of course, but they’re not the most typical of parents. Of all the men who live in town, the father is the only one with a mustache. The protagonist is too young and innocent to understand that her parent’s differences are precisely what has given her the upbringing and nurturing that will certainly form her into a capable, intelligent woman. She rues the fact that her parents modern architect profession gives her a living situation that is far more design over function. The 3-legged chairs she and her siblings must sit in is a perfect illustration of this. Her parents can sit with ease in the chairs. It is this ease that sit in strange chairs that they also love their children. The ending is exceptional. This is the most artistic of the nominated films by a massive margin. It’s a style of animation I’ve never seen and incorporates all kinds of stunning visuals. How do you animate water? How do you animate malaise? How do you animate the topic of elder care? This film does it all and it articulates a subconscious feeling that we all will certainly encounter in the future. The idea is stellar, but the execution of telling the story is boring. This is the best of the bunch. Each film is introduced with the title, directors and running time. When this one was introduced, I was shocked to see it only has a running time of 2 minutes. Whhhaaaaa? This film turns the idea that a long film of great quality feels shorter than it is on it’s head. This is an exceptional film that felt longer than it is. That’s a good thing, too, because the idea is so eloquent that I know I’ll never get tired of watching it. The animation style left me wanting, but only slightly. Another delightful story —this time told in three acts rather one like Feast. That contributes to the meatiness of the plot, but the plot is still very much a standard plot trope created by Disney. Like Feast the idea is a good one and one that I feel strongly about using to educate children on how to behave, both ecologically and socially. The root of the story is simply to be nice to people and not make fun of other’s differences, while concurrently being a good steward of planet Earth. The golden rule is on full display in this film, and that coupled with an animation style that offers a significant amount o texture, take this into the A-rating category. The trope is ever-so-obvious to me though. I think those not having as much contextual knowledge of what animated films are doing now will really enjoy this piece. Ignorance is indeed bliss friends! Here’s how I rank them. I think The Dam Keeper will win though. Often times, it’s the film that is seen most — especially in the shorts category — is the one that wins. Feast was attached to Big Hero 6 helps it out a great deal, but like I explained above The Dam Keeper has been to many festivals and done quite well. It’s a deeper dive into character development and I think the environmental stewardship piece puts above the others. If these films are available in your area, make a beeline to see them because they are excellent. Finally, I’d just like to say that my opinion on animated film is evolving. It’s tough for a film genre to be saddled with the responsibility of appealing to a younger, more innocent demographic. Many of these films insert jokes that children won’t even register, but their parents will. It’s important that children have films to look forward to and a reason to explore their world through cinema that uniquely resonates with them. Why do I want animated short films to move in the same way documentary short films do? That’s a pretty difficult, if not impossible, demand. Watching these films touches me in very different ways and I’m okay with that. I think it’s smart for us to all understand this when we pay to see movies. The bottom line is that we expose ourselves to as much cinema as possible. Enjoy the movies, folks! To celebrate the 5-year anniversary of The Knitting Factory being in Williamsburg, Brooklyn I was asked to shoot and edit a video featuring Hannibal Buress explaining who folks can expect to see.